Make handcrafted European style butter in your own home! Contains everything you need to make delicious and creamy artisan butter yourself. 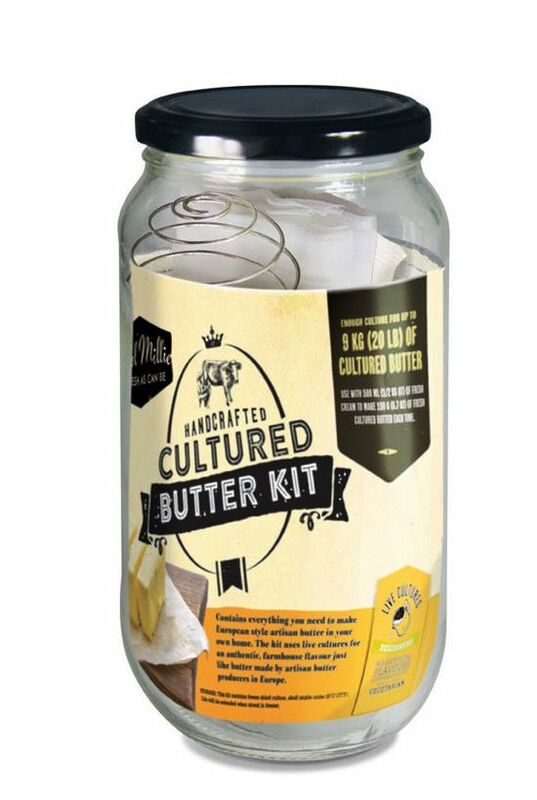 This kit uses live cultures for an authentic, farmhouse flavour just like butter made by artisan butter producers in Europe.